A beautiful documentary about the Idan Reichel Project on their first visit to Ethiopia. 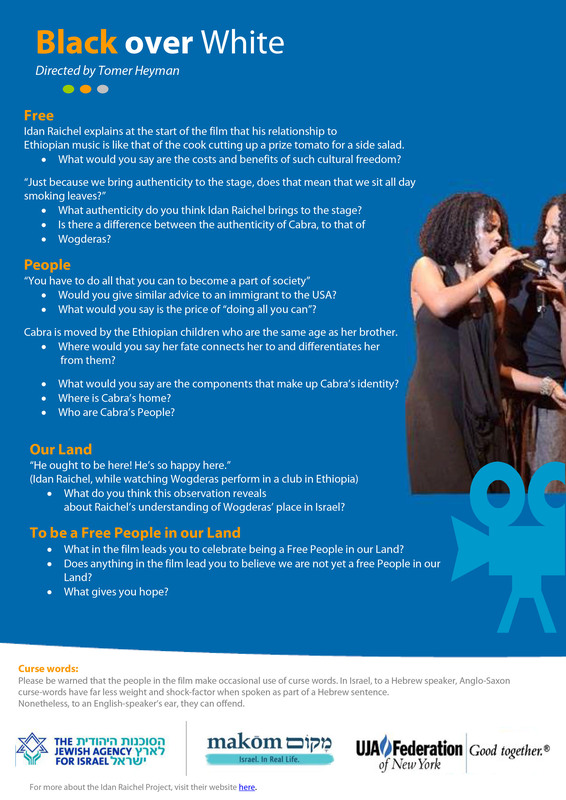 The movie follows the whole band, but in particular the experiences of the two Ethiopian-Israelis, one of whom has memories of his life in Ethiopia, and the other who remembers nothing. A wonderful exploration of music, home, and identity. Click here to download a discussion guide.